Steve’s breakdown: Now that Harvey Weinstein is fired from the studio he co-founded, there’s got to be a lot of damage control going on at the company. The story is still unfolding but the sooner they fix this the better. NEW YORK, NY: Movie mogul Harvey Weinstein has been terminated from his position at the Weinstein Co., according to a statement from the board of directors on Sunday. The move to oust Weinstein came just days after the high-powered Hollywood film producer was thrust into the spotlight after the New York Times published a report Thursday that revealed decades of sexual harassment claims by actresses and female employees against him. In response to the Times’ story, Weinstein announced in a statement Thursday that he would be taking a leave of absence from his company. Then on Saturday, Lisa Bloom, who had been serving as an adviser to Weinstein — and who had told the Times that Weinstein “denies many of the accusations as patently false” — tweeted that she would be stepping down from that position. “My understanding is that Mr. Weinstein and his board are moving toward an agreement,” she said. In its decision Sunday, the Weinstein Co.’s board of directors said that “new information” about the executive’s conduct informed their decision. Weinstein, who founded Miramax Films with his brother, Bob, in 1979, before leaving in 2005 to create the Weinstein Company, was known in the film industry for both his volatile temper and business acumen, which helped turn his studio into an Oscar force to be reckoned with. According to the Times investigation, accusations of sexual misconduct against Weinstein extended over decades. At least eight of those claims resulted in settlements between the accuser and Weinstein. Actress Ashley Judd, the most high-profile of the women to speak on record, alleged that, under the pretense of a business meeting, the producer and studio head asked her if she would watch him shower, or if he could give her a massage. Several stars spoke out after the Times article was published; they included Rose McGowan, an actress with whom Weinstein reached a $100,000 settlement in 1997. “Women fight on. And to the men out there, stand up. We need you as allies. #bebrave,” she tweeted shortly after the article’s publication. Other actors, including Lena Dunham, Mark Ruffalo and Seth Rogen, posted messages of support for those who had filed claims against the producer. But silence in some circles seemed to speak volumes about the range of his influence. As Post film critic Ann Hornaday noted, “Weinstein’s alleged misdeeds … have long been whispered about within the film world, where Weinstein is as famous for hyping films like ‘Shakespeare in Love’ and ‘The King’s Speech’ to Oscar wins as he is for re-cutting the films he produces.” Late-night comedy hosts did not address the allegations in their respective monologues Thursday or Friday, and “Saturday Night Live,” known for skewering politics and Hollywood alike, did not mention Weinstein once in this weekend’s episode — a slight that did not go unnoticed on social media. 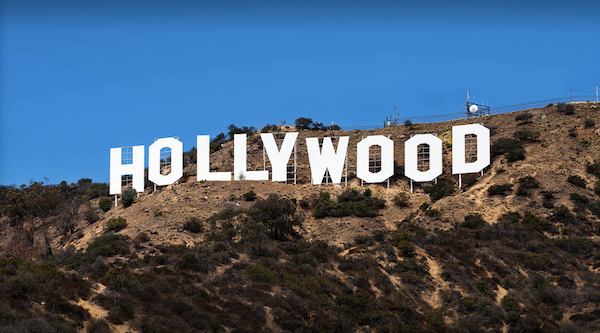 Times Hollywood reporter Brooks Barnes reported Sunday that more than 40 entertainment industry people he contacted about the allegations refused to speak on the record. “A publicist for an A-list actress said there was no ‘upside’ for her client to comment, especially since she did not have a movie to promote,” he said. What the future holds for the famed producer remains unclear. While his career at the Weinstein Co. is over, the discussion of sexual politics in Hollywood seems to be just beginning.